You’d probably relate Norway with the magical Northern Lights. But did you know it is also called the ‘Land of the Midnight Sun’? During the summer months, days are long and nights are short, even non-existent further north of the Arctic Circle – the sun dips into the sea and rises again, fully refreshed. And with the sun the locals rise – they bid farewell to long, bitterly cold, dark winter nights and go kayaking, hiking, or fishing in the middle of the summer nights. Summer temperatures range between 25 and 30 degrees Celsius, with little or no humidity in the air. Nights are warm and water temperature is around 18 degrees, making swimming a popular pastime. We begin our vacation with sightseeing in Oslo. We then embark on a train to Myrdal, followed by a ride to Flåm by the Flåmsbana – one of the world’s most beautiful train journeys. Cross mountains, valleys, rivers, and waterfalls, and pass through 20 tunnels on this 20 kilometre-long journey. Also sit back and relax as we cross the famous Norwegian fjords. In Bergen you will see the painted wooden houses of Bryggen, a UNESCO World Heritage Site. These are the most photographed buildings of the city – why don’t you get yourself clicked here too? Travel passenger by Hurtigruten ferry, a daily passenger and freight shipping service between Bergen and Kirkenes. Stop at Alesund and Geirangerfjord, perfect for nature lovers. What has been declared the ‘world’s best road trip’? Yes, you got it right! It is the Atlantic Ocean Road, and we will drive through this exquisite route splashed occasionally by sea waters. It runs for about 8.5 kilometres and is built on several small islands, connected by viaducts and bridges. Excited much? Wait, there’s more…. In Tromsø, hop on to a Rib boat and admire the Norwegian landscape under the Midnight Sun – and spot the harbour porpoises, seals, and sea eagles enjoying as much as you. Be one of the few people who can boast of experiencing this natural phenomenon. We hope this has set your pulse racing. So, why wait? Join us as we experience some of the most magnificent sceneries in Norway under the Midnight Sun. 2 pieces of luggage per person will be consigned and sent from the hotel in Oslo to the hotel in Bergen. Extra pieces will be charged additionally. Internal flight cost can vary greatly depending on when we book. We will book these at a cost for you when you book the trip. At the time of publishing this itinerary, the cost of the three fights within Norway was about INR 35,000. We will do a group transfer to the hotel on our own. - Check-in to the hotel and relax. 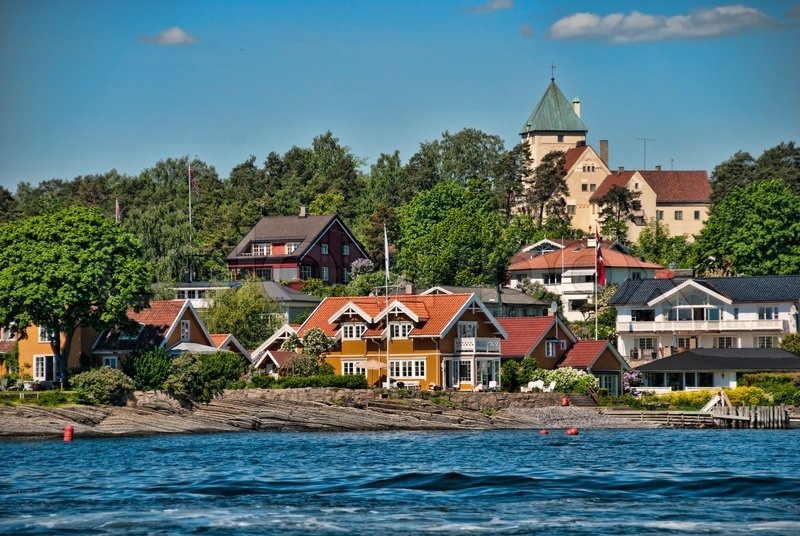 Post breakfast, enjoy a half-day sightseeing tour of Oslo highlights by bus. Please note this is not a private tour and will be a seat-in-coach tour. 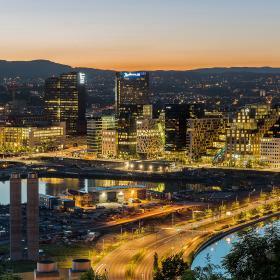 Explore some of Oslo’s must-see attractions. Admire stunning views over Oslofjord from Holmenkollen Ski Jump. Get in touch with the art of the most prolific Norwegian sculptor as you stroll through the Vigeland Park. And also visit two unique museums, Kon Tiki Musuem and the Norwegian Folk Musuem. - Afternoon and evening at leisure.